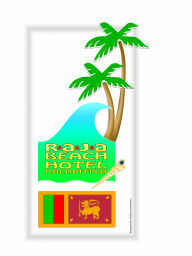 directly on the fine sandy beach of Balapitiya. but in quiet location, and yet without mass tourism. A spacious garden to relax, and a direct access to the beach. We both and our small obliging team will ensure that your holidays will be a positive and memorable experience. from 7:30 a.m to 10:30 a.m.